Hi! 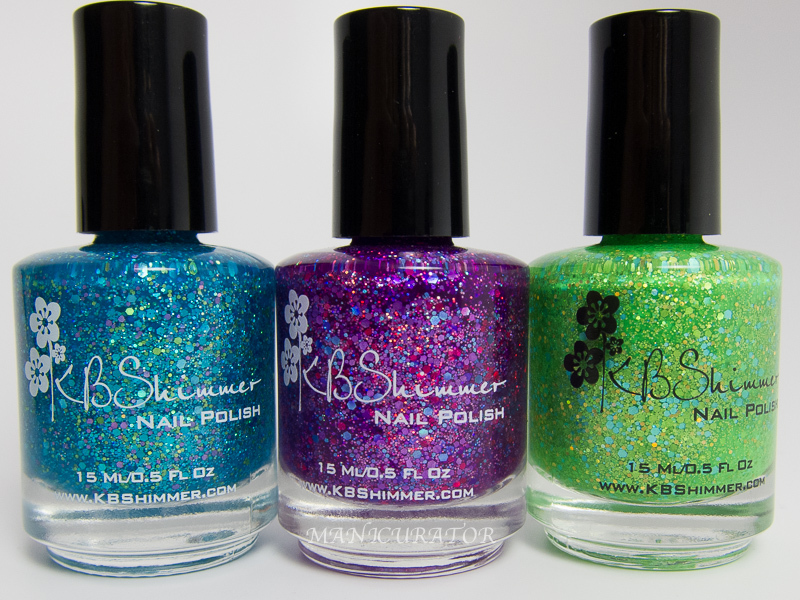 A few days ago I showed you the three new gorgeous creams from KBShimmer's Early Summer collection and today I'm showing off the three new textured glitters. These three were easy to work with and have a unique matte glitter texture when dry. Read through to the end to see them top coated too! I was struck with how well these three coordinated with each despite being such drastically different shades. I just thought they looked amazing together so I knew I had to use them all in one look. I wanted to create a design that showed off each color and gave some visual interest. Didn't have a plan and used the brush from the bottle to paint on these different sections. 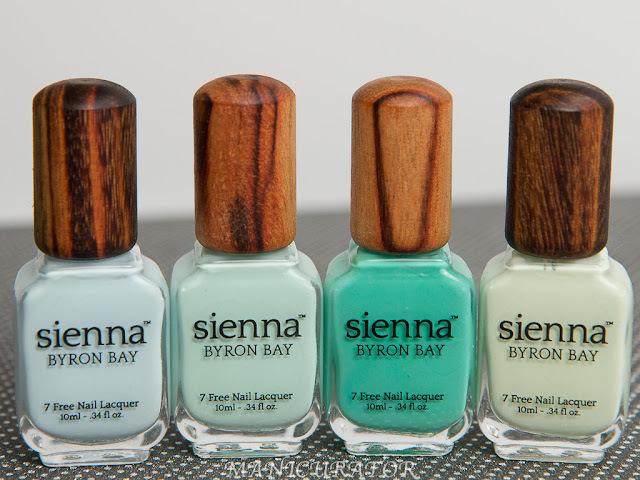 Each shade is two coats. Partners In Lime is a bright lime textured polish with gold undertones undertones. Loaded with holographic glitters in gold, lime green and aqua I really winged it here. 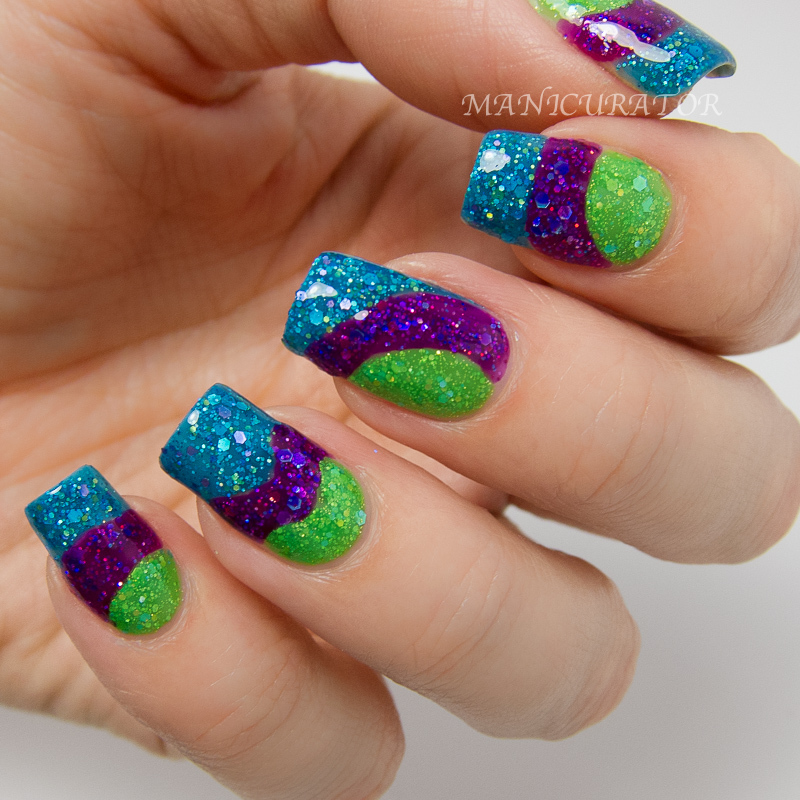 Too Pop To Handle is a bright neon purple textured polish with magenta undertones. 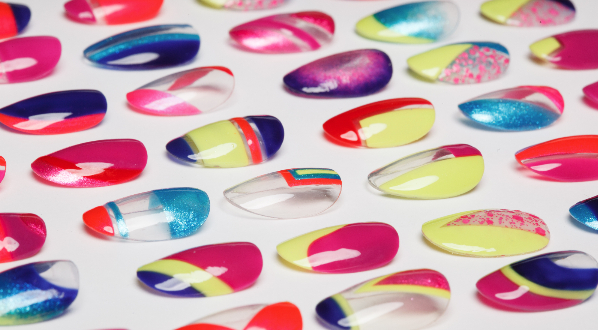 Loaded with holographic glitters in magenta, violet, aqua and pink. The next two photos you see it with two coats of KBShimmer Clearly On Top. Brings out the glitters for sure! Which way do you prefer? I love how pigmented these are. Perfect for Summer! These look so great together! GORGEOUS! I feel like I should have these in my life, hahaha! These nails are gorgeous. I love the design. What I really like about your manicures is that they are purposeful. You always write a little something so the reader knows where your idea came from. I used to have a blog and did that same thing. And also with so much copying of manicure this lets the reader know this is your own idea. Continued success.